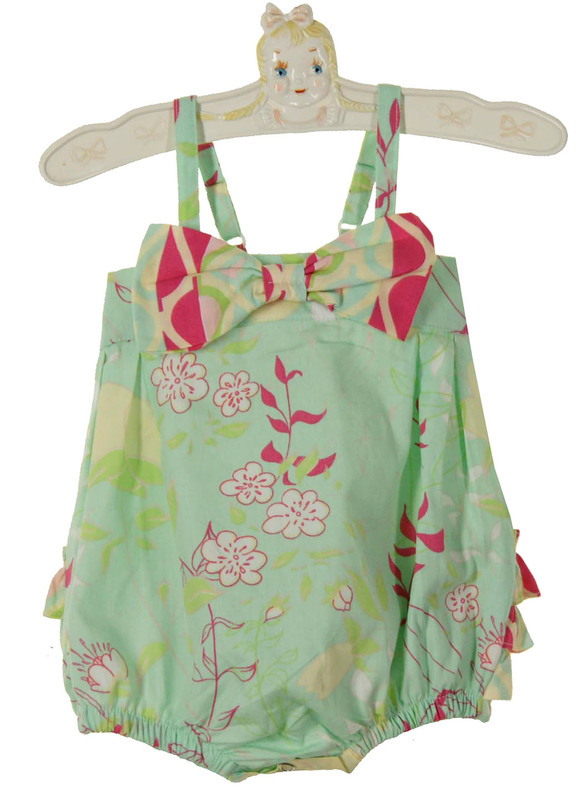 Made by Ruffle Butts, this is the sweetest vintage 1950s style green print cotton sunsuit for your baby girl! 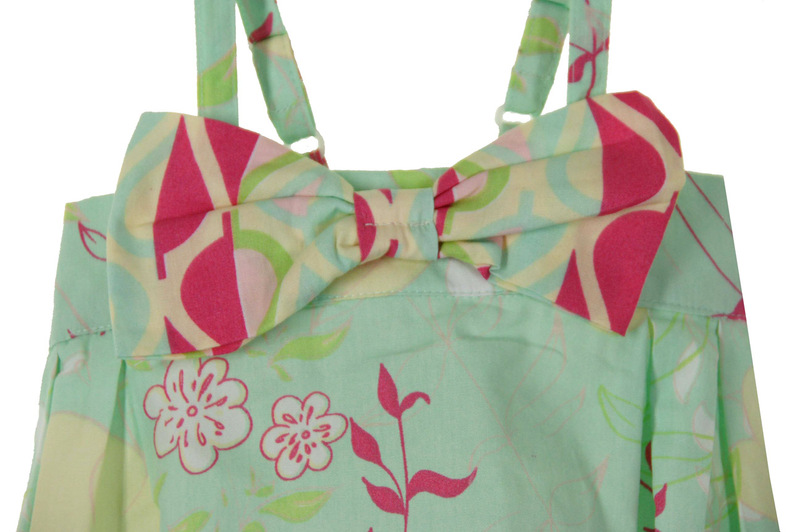 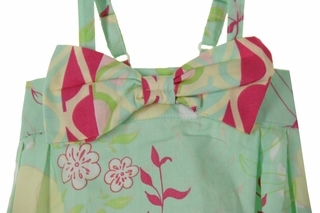 It has a large bow on the bodice with narrow adjustable shoulder straps. 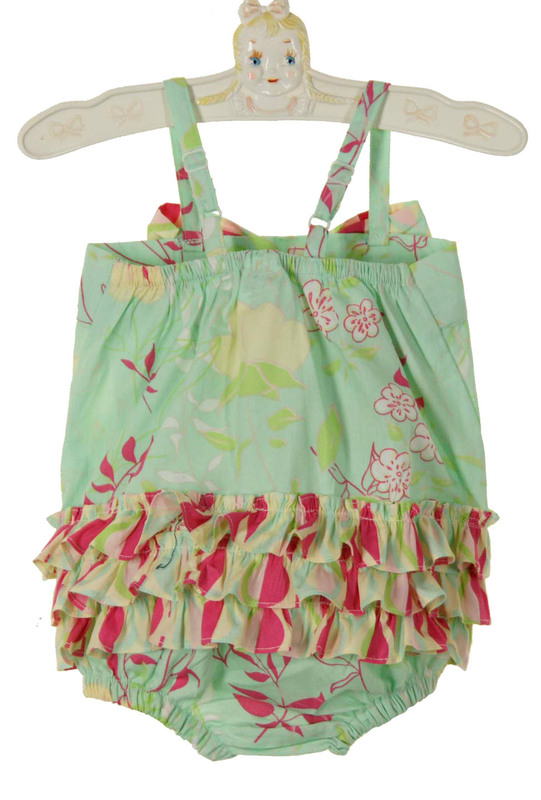 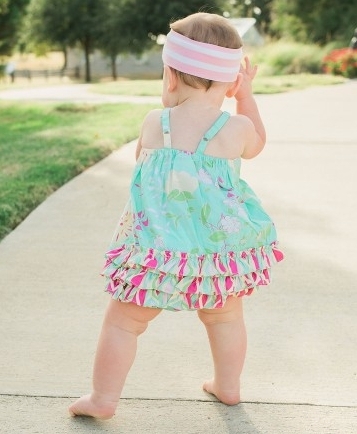 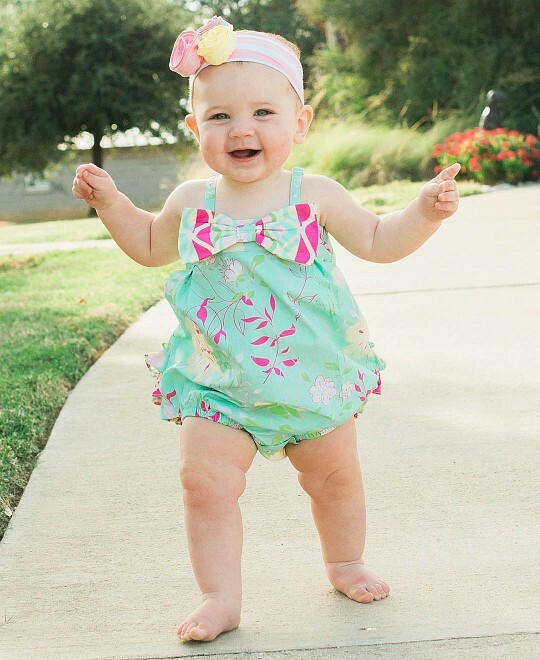 A triple row of ruffles on the bottom finishes this darling sunsuit.